This is one of the most news and rumor filled weeks in SWGOH HISTORY!!!!!! So much to cover... a character of the month that is leading to a lot of speculation... a secret message that may lead to Ranger anger... Mods 2.0 rolling out with mod loadouts and a new energy... release of probability information that has been wanted since forever!... and of course SirLoki telling us to hush so he can hear McVenom read the news. 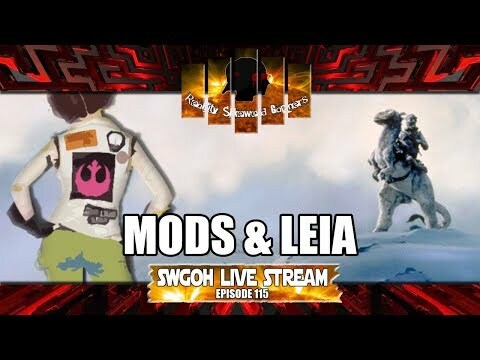 So join us to hear McVenom read the news in this week's SWGOH Live Stream Episode!